TOAST COETZER SAYS: I like Cindy’s Instagram feed (@cindybeebester) because she’s got a fiercely local focus: finding beauty in the area around Port Elizabeth and Despatch. 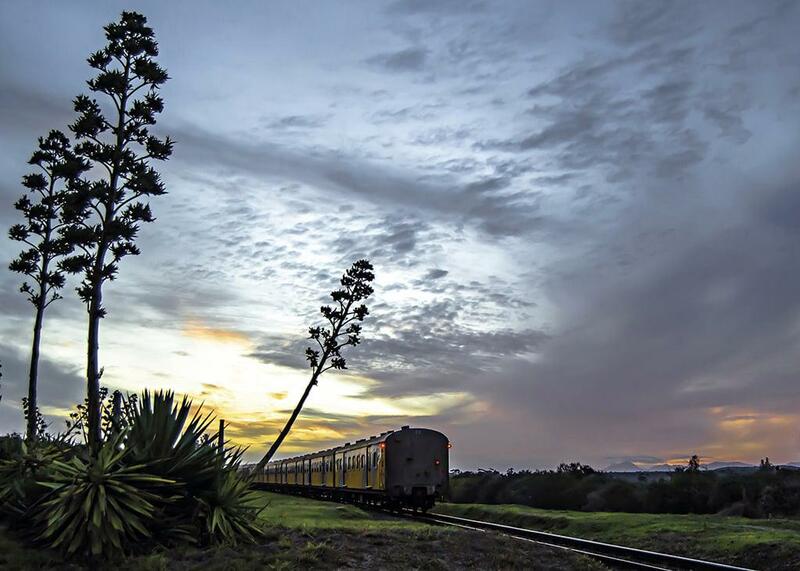 Next time the magazine needs a photo of a train in the Eastern Cape, I’ll know who to turn to! The dramatic late afternoon light and the strong silhouettes of the century plants in the foreground draw your attention. Cindy used a classic composition: The train is the main subject and it leads your eye towards the distant mountains as it moves deeper into the frame.